fuse blocks, park/neutral position switch, back up lamp switch, left rear lamp assembly, right rear lamp assembly. You are please also consider the wire color coding. It eases you in determinating the wire. 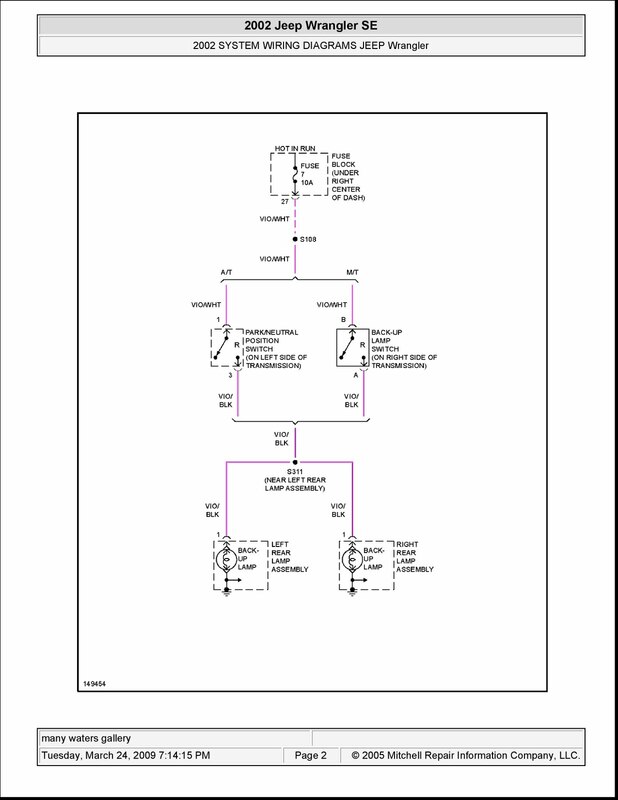 Well, check out this simple schematic wiring diagrams for the 2002 Jeep Wrangler SE System Wiring Diagrams Back-up Lamps Circuit.